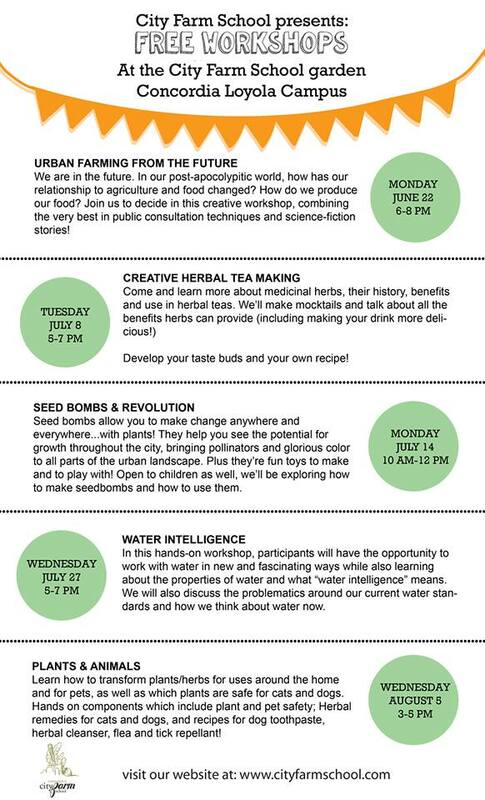 FREE Workshop Series This Summer with City Farm School! Please note that the Creative Herbal Tea Workshop will take place Wednesday, July 8th. Thanks! Previous PostUpcoming Event: The Future of Farming!Next PostVolunteer Sessions are BACK!